Hurry up and book your trip, this tour only runs from 14 April-12 May! If you are planning to visit Korea in spring, you’re in luck! This is one of the most beautiful times of the year in the country and a chance for you to witness stunning flower blossoms all around Seoul. From the Spring Flower Festival to Jinhae Gunhangje Festival and more, there is no shortage of flowery events to attend. 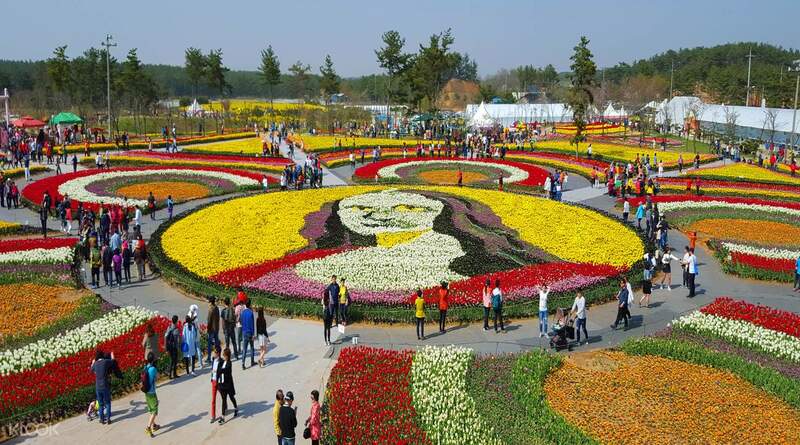 However, if you are looking for something truly special, don’t miss your chance to attend the Taean Tulip Festival. 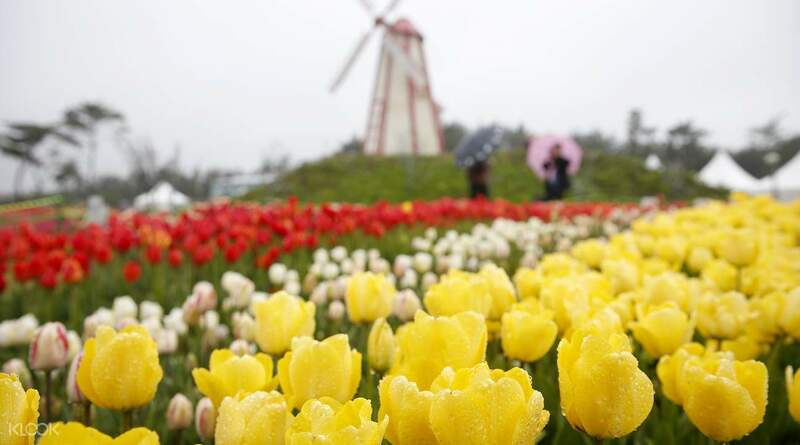 The World Tulip Summit Society listed Taean as one of the World’s Top 5 World Tulip Festivals Worth Visiting. Here, you can see a whole sea of beautiful flowers in blossom and take plenty of photos. 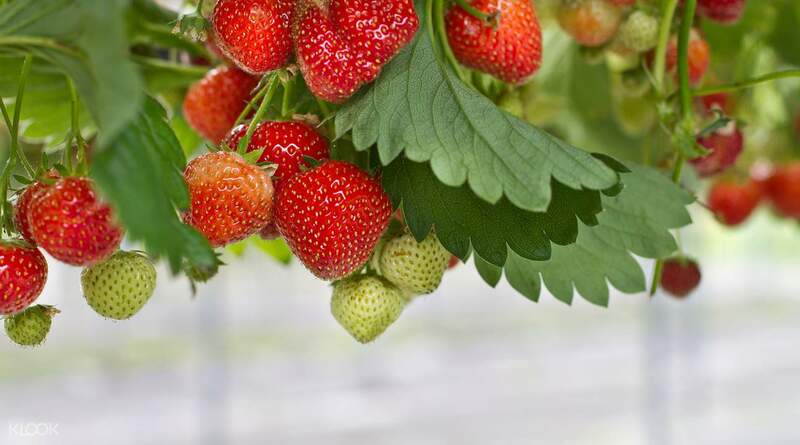 Complete the trip with a sweet treat - head on to pick strawberries at a local farm and bring some delicious berries back for a delightful natural snack. Free strawberry take home and free taste of strawberry wine. Strawberry picking is okay. Goes well with the Jam! The Tulip Festival at Korea Flower Park was amazing! The guide spoke both English and Chinese. She is not that good in making a good connection with her guests. It would have been better if the tour guide was amazing and gave explanations on each place we visited. Free strawberry take home and free taste of strawberry wine. Strawberry picking is okay. Goes well with the Jam! The Tulip Festival at Korea Flower Park was amazing! The guide spoke both English and Chinese. She is not that good in making a good connection with her guests. It would have been better if the tour guide was amazing and gave explanations on each place we visited. Taean Tulip Festival is absolutly a MUST join tour if you visit Seoul in April - May. Nice weather and amazing flowers. . . . In particular, if you are not able to make a trip to Holland. However, dont expect too much on the strawberry picking activity. The strawberries were pretty small and not sweet. Taean Tulip Festival is absolutly a MUST join tour if you visit Seoul in April - May. Nice weather and amazing flowers. . . . In particular, if you are not able to make a trip to Holland. 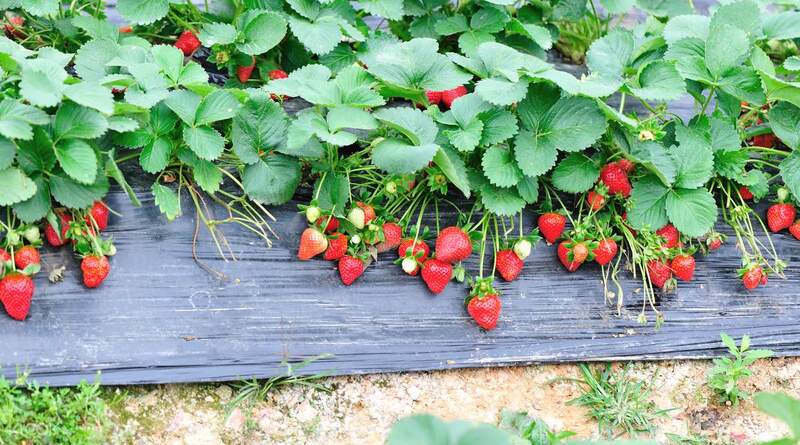 However, dont expect too much on the strawberry picking activity. The strawberries were pretty small and not sweet. Long trip out to Taean but the bus journey was comfortable. I was a little disappointed that the tulips were just starting to bloom. Managed to get a few good shots of some blooms. Strawberry picking activity was so so. Overall trip would have been more satisfying in about a month to enjoy the full blooms. Long trip out to Taean but the bus journey was comfortable. I was a little disappointed that the tulips were just starting to bloom. Managed to get a few good shots of some blooms. Strawberry picking activity was so so. Overall trip would have been more satisfying in about a month to enjoy the full blooms. Tulips are not yet in full bloom and it is very disappointing but we enjoyed the strawberry picking and strawberry wine tasting. Tulips are not yet in full bloom and it is very disappointing but we enjoyed the strawberry picking and strawberry wine tasting. I think our visit time is little early.just little tulip flower is blossm we saw many baby tulip and cherry flower.my suggestion go in middle of tulip fest date.but strawberries farm trip is good experience.out tour lady miss penny is very good. I think our visit time is little early.just little tulip flower is blossm we saw many baby tulip and cherry flower.my suggestion go in middle of tulip fest date.but strawberries farm trip is good experience.out tour lady miss penny is very good. I am glad I decided to make this trip with Klook. Taean is quite far away from Seoul. To go there with a public transport is too troublesome and full of uncertainties. We left Myeondong slightly after 8 am. I would advice not to take heavy breakfast. The next stop was 2 hours away and the traffic condition is unpredicatable. We arrived at 11:50am. Enjoyed the flowers but I left the garden early as I saw nice view at the beach. Thank you Klook...but I have to give a 4 star as I think the bus is a bit old. Can see that from the cushion cover in the bus. However the tour guide, Ivana and the bus driver were fantastic. I am glad I decided to make this trip with Klook. Taean is quite far away from Seoul. To go there with a public transport is too troublesome and full of uncertainties. We left Myeondong slightly after 8 am. I would advice not to take heavy breakfast. The next stop was 2 hours away and the traffic condition is unpredicatable. We arrived at 11:50am. Enjoyed the flowers but I left the garden early as I saw nice view at the beach. Thank you Klook...but I have to give a 4 star as I think the bus is a bit old. Can see that from the cushion cover in the bus. However the tour guide, Ivana and the bus driver were fantastic. Tulips were not at its full bloom but I still enjoyed the trip to Taean. Strawberry picking was fun. Our guide Eddie is very funny and helpful. 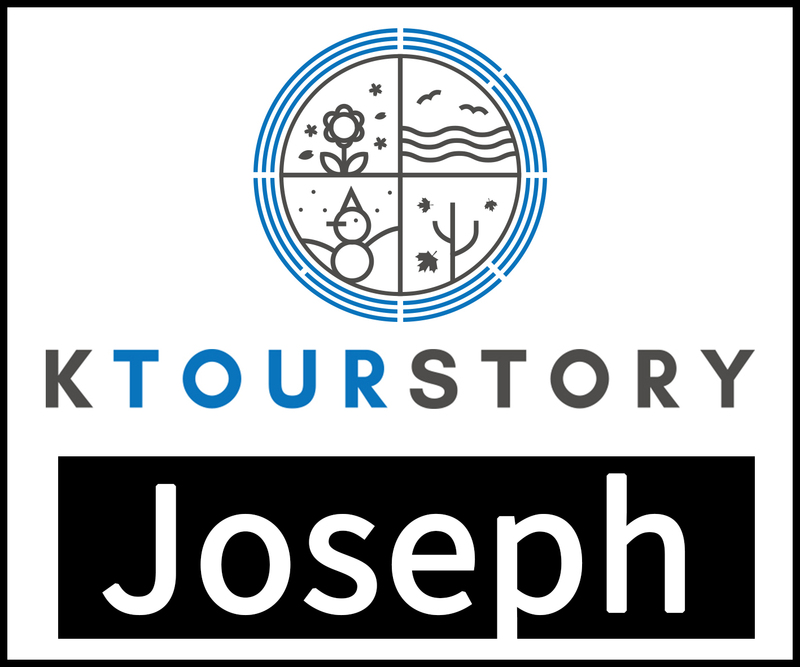 This is the second tour I joined with Ktourstory. Would definitely follow their tour if I had a chance to visit Seoul next time. Tulips were not at its full bloom but I still enjoyed the trip to Taean. Strawberry picking was fun. Our guide Eddie is very funny and helpful. This is the second tour I joined with Ktourstory. Would definitely follow their tour if I had a chance to visit Seoul next time.